This weekend we tweeted about Android 4.1 updates for the Galaxy S II, Galaxy S III, Galaxy Note and Galaxy Note II. Let us explain what Samsung will do and how far they are at the moment. The test firmwares for the Galaxy S III are passed and they are working on a public version of the first Jelly Bean updates for the Galaxy S III. The wait is on the public version and the agreement of Google. Samsung is still testing Android 4.1 for the Galaxy S II. The first tests are looking fine. Because the Galaxy S II is still selling very well and Samsung will update the Galaxy S II to Android 4.1. For the Galaxy Note it is the same story as for the Galaxy S II. Tests are fine but there is still no official words by Samsung. The Samsung Galaxy Note II would be showed at IFA 2012. The test software is currently based on Android 4.0. Our insider isn’t sure if Samsung will introduce the Galaxy Note II with Android 4.0 or Android 4.1. If Samsung decides to use Android 4.0 at launch, an update to the Galaxy Note will be available a couple of months after. For tablets we still dont’t have any information. This information is provided by the same insiders that told us about the Galaxy Ice Cream Sandwich updates for mobile phones and tablets. how long does we have to wait for the updates?? 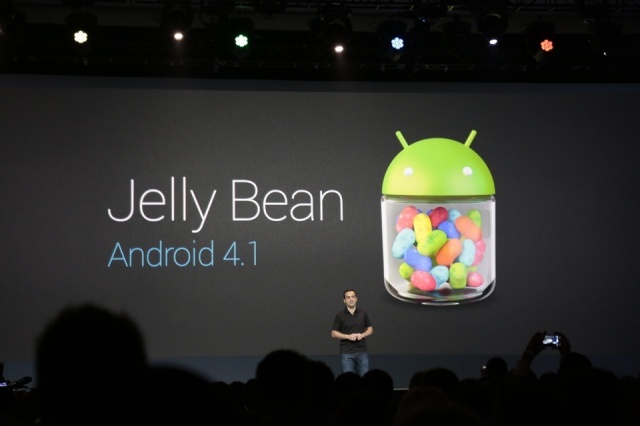 Value pack?…Jelly Bean for SII?….no offense , it can be released in 2013….. Custom Rom will be better rather than joining turtle race…. What I do not get is that Apple IPhone 3GS, 4 and 4S got upgraded from IOS 4.x to 5.x and will receive updates to 6.x and they are all single core or dual core CPUs. Why would the S2 that is also dual core and slightly higher speced than the IPhone 4s not get Jelly Bean 4.1.x when it is a slight update over ICS 4.0.4? Please think about that Samsung when deciding what to launch i.e. a value pack or a full upgrade. Value pack samsung can stick up their @ss. I want the JB update not some crap you can’t sell on your samsung site. i just want to know what you mean by economic package, what is the will include…. details.. The S2 RAM drops from 1GB to 862MB after ICS. If they ever roll out 4.1 then I should expect the RAM to drop to 256MB!! Might as well change to a cheap low end phone as it will have more ram then the S2. How can Samsung shortchange their customers. If I upgrade my 4GB PC from XP to Vista or Win7 should the RAM drop to 1GB? Well that is what Samsung is doing..I have 1GB on gingerbread but 682mb on ICS!! And yes I like to give short comments, I do have rights, yes? By the way, Gaspernemec, with all due respect, I am not the only one who is suggesting the updating flaws of Samsung company. Scroll up. Unless of course I am having double vision and thinking too much. Oh, and he also gave reason that SII should get JB full update because it is still selling like hot cakes(bad reasoning). That should not be the only reason for upgrading SII. Specs compatibility should be taken into consideration as well, otherwise it would not be possible to update SII anyway from the begining.